Drainage for Waterlogging and Soil Salinity, Runoff, and Irrigation models. Waterlogging, Soil Salinity, Field Irrigation, Plant Growth, Subsurface Drainage, Groundwater Modelling, Surface Runoff, Land Reclamation, and other Crop Production and Water Management aspects. The purpose of this web site is to share my experiences with workers in any country on waterlogging in agricultural lands, irrigation induced soil salinization (salination), subsurface drainage for agriculture (horizontal and vertical), reuse of groundwater hydraulics, (geo)hydrology, rainfall and surface runoff relations, reclamation and improvement of waterlogged saline (salty), sodic alkaline, and acid sulphate soils, plant growth, crop production and responses as well as statistical analysis consisting of segmented linear regression and fitting of cumulative probability distributions. As a land and watermanagement specialist at the International Institute for Land Reclamation and Improvement (ILRI), Wageningen, The Netherlands, I have worked since 1965 in almost 30 countries in Asia, Africa and Latin America, giving training courses, participating in research programs and providing project advice as a consultant. In 2002, I left ILRI to be independent. The software was developed because I needed it for my work and in that time internet did not yet exist. When you wish to communicate with the author, please use the contact form. Languages: Dutch, English and Spanish. Messages in French, German or Portuguese will be understood but replied in English or Spanish. The site gives free download opportunity of software and models freeware and computer programs (tools I developed because of need in my work). The programs relate to statistics (segmented linear regression with break-point, cumulative probability distribution fitting and recurrence predictions). Further there is information on groundwater flow to subsurface drains (horizontal and tile drainage) and pumped tubewells (vertical drainage). In sloping land the study of rainfall-surface runoff relations simulated with a nonlinear reservoir may be required. In general agro-hydro-salinity simulation models including groundwater hydraulics, are useful for well balanced designs and maintaining the salt balance of the soil. The source code of the software can be seen at the open source page. The site offers free downloading of general articles and manuals in the field of waterlogging, agricultural land drainage, and for soil desalination. Next, subsurface drainage for agriculture (horizontal and vertical) is often a prerequisite, as well in salty soils. 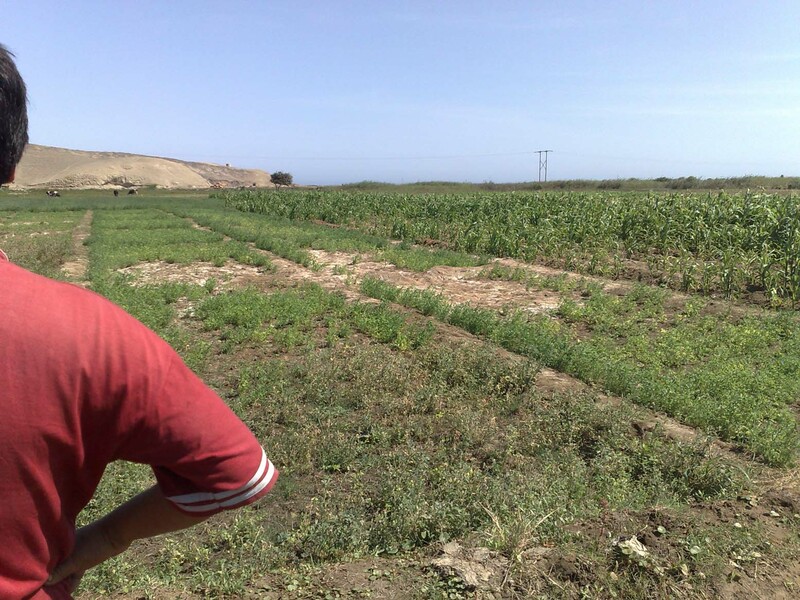 In addition one can find here supporting papers on the software referring to land reclamation (rehabilitation) of waterlogged land, and the remediation (restoration) of salt affected, saline, soils. The same holds for the statistical models on segmented linear regression of plant growth, crop production, salt tolerance, and yield responses. The software on probility distribution fitting of hydrologic factors can also be freely downloaded. 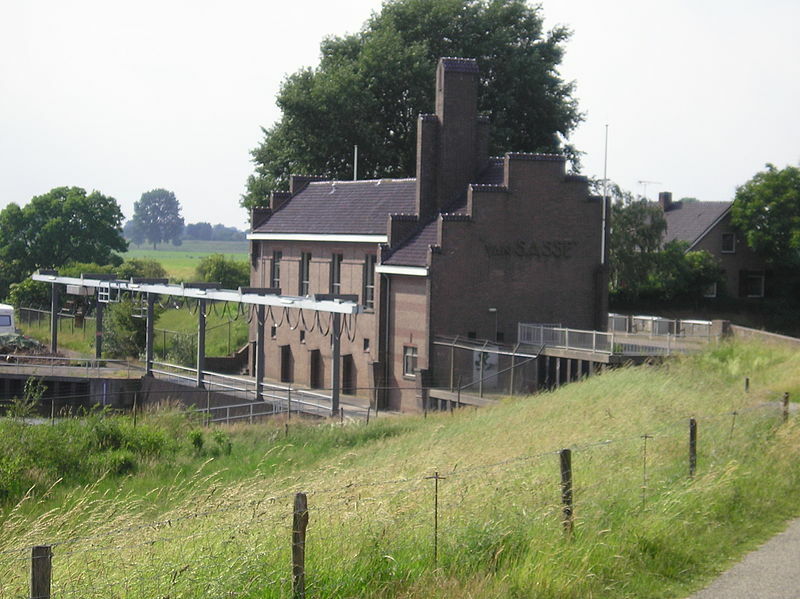 A list of project evaluations and case studies on water-management, agricultural land drainage, and irrigation can be found on the published reports page and also on the particular reports page. In these reports one can find data on drainage for salinity control in agriculture with the aim to remediate soil salination (salinisation). The same holds for reclamation, rehabilitation, restoration and improvement of salty, saline, alkaline and acid sulphate/sulfate soils. I intend to update and expand this website regularly and include update reports. Looking over the shoulder of a farmer to his waterlogged and saline land. The salt tolerance of the crop is insufficient to produce a good yield. The irrigated land needs drainage to prevent waterlogging and reduce the soil salinity. When dealing with waterlogged and saline soil it is important to grow salt tolerant crops that resist high levels of salinity. 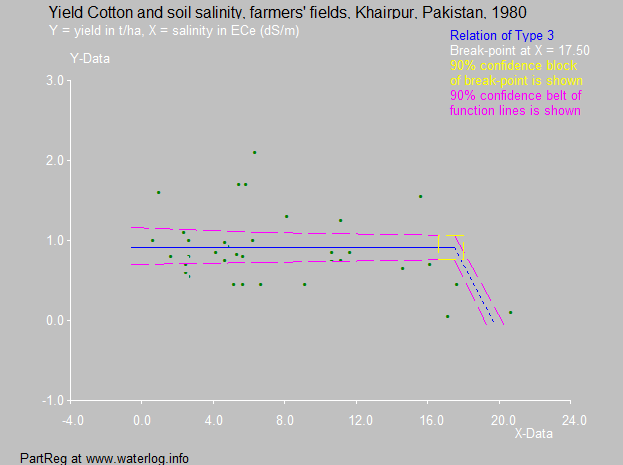 The figure shows the crop response to soil salinity of cotton grown in farmers' fields in Pakistan. It appears that cotton can withstand salinities up to ECe = 17 dS/m, which is quite high. The number of data beyond that point is limited so that it is difficult to conclude what happens there. When the land is properly drained, the soil will not salinize any further. Drain spacing equations can help to avoid damage, see this paper on the energy balance of groundwater flow to drains.